The 27th Massachusetts Convention of Congregational Ministers Barth Session for Pastors | When I Survey . . . 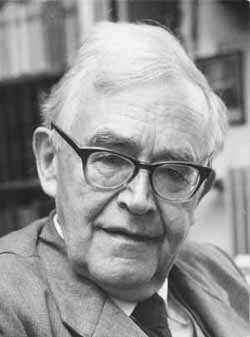 The 27th Massachusetts Convention of Congregational Ministers Karl Barth Study Session for Pastors will gather Monday, June 11 and Tuesday June 12 at the First Church and Parish in Dedham. Our leader will be the Professor Karlfried Froehlich, retired from Princeton Theological Seminary. His is a church historian who studied with and was examined by Barth in Basel. Prof. Froelich has an interest in Coccejus a Reformed theologian of the Federal Theology basic to the New England Way. Being a Lutheran, he will not be putting new labels on the same old stuff. Our afternoon sessions will take up issues Christians now face in the Middle East. In hopes of avoiding traffic we will begin at 9:30 am. Lunch will be provided at noon. The afternoon sessions will conclude at 2 pm. You are cordially invited to dinner at the Dedham Parsonage. We gather at 5:00 pm and feast at 6. Thanks to the Massachusetts Evangelical Missionary Society the cost for these two days remains at $50. Maximum Participation is 15 participants.